Fremantle Foundation founder Dylan Smith and Mr Big. PUPPETS, acrobats and magicians will roll, tumble and trick their way into hearts and minds as they help raise money for local disadvantaged local youth at next month’s Fremantle Ball. The ball aims to be a celebration of community spirit and compassion in Fremantle, all while raising money for the Fremantle Foundation Fund for Children and Young People. 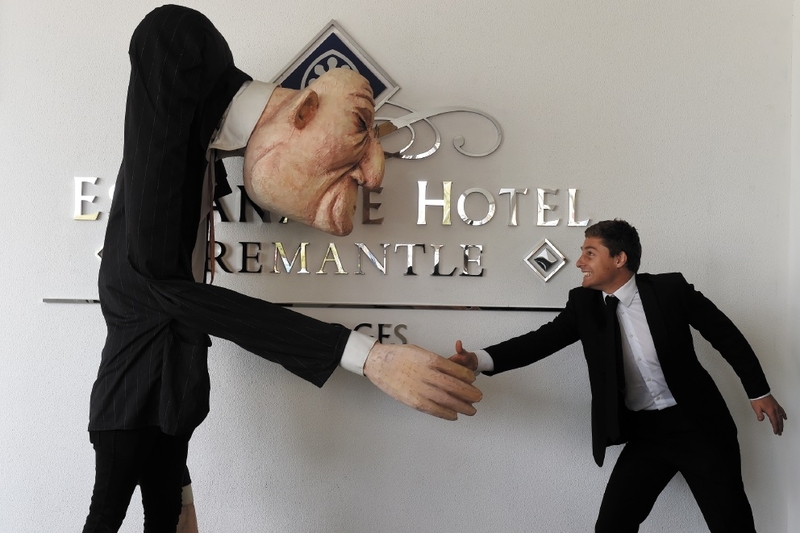 Fremantle Foundation executive officer Dylan Smith said the event was also looking to foster local entertainment, with performances from the Spare Parts Puppet Theatre, CircusWA and James Diamond. Eskimo Joe’s Kav Temperley and former Fremantle Docker Peter Bell would also be among the guests. Mr Smith said the Fremantle Ball was now in its third year and had grown with every event, raising $100,000 in its first two years. “The funds from last year created the Fremantle Foundation Fund for Children and Young People,” he said. “The Fremantle Ball has a great following and holds a nice place on the social calendar in Fremantle.